Do you feel like you have so much to offer the beauty industry, but have not yet found your outlet? Have you been dreaming a of a career that can take you to the next level financially and successfully? Do you love working with women, changing lives and transforming others confidence? Then this course is for you. 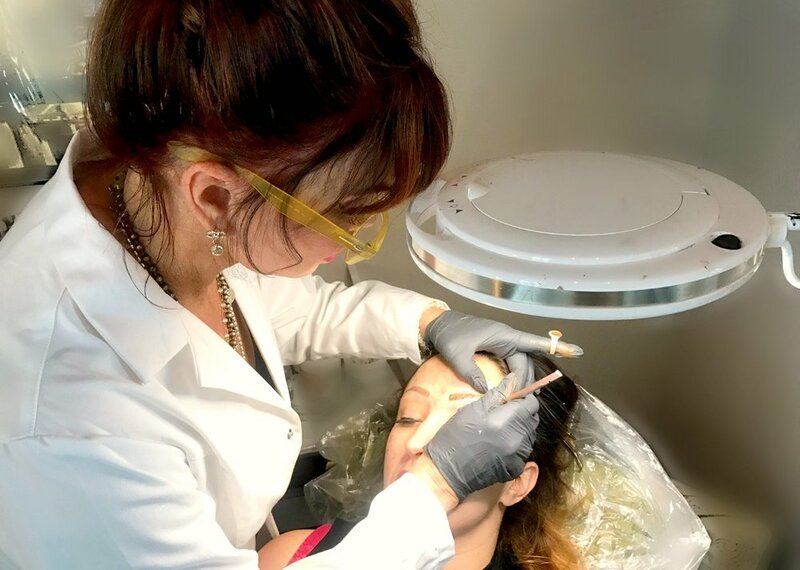 This program offers one-on-one training to allow you the education you need to start an amazingly successful career in permanent cosmetics and Microblading. Looking to build your business? Being an eyelash extension artist is just about the fastest way to grow. These courses give you all you need to get started building a clientelle fast with the foundation lashing priciples at the center focus. Lashing isn't easy, but becomming the top of your market doesn't have to be hard. These courses offer you all you need to get started lashing today. Courses offered in the art of eyelash extensions are second to none. No hype, no gimmicks, no quick fixes. This course is meant to teach you the real in's and out's of this booming industry in a way that sets you up for long term, healthy success. Eyelashing is an art and one that requires skill. Learn to avoid bad habits, how to lash safely for you and your clients, good business practices, what tools and products to use, and more. Take your career to the next level by offering the best in eyelash extensions. Learn the beauty industry from anywhere!. Congratulations on furthering your education!.